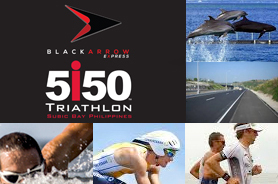 For general inquiries please contact secretariat email address: blackarrowexpress@5150philippines.com. Entries will close on 13 October, 2019 if maximums are not reached earlier. All athletes must complete the onsite Check-In procedure by Check-In close on Saturday 2 November 2019. Any athlete who does not Check-In by this time will not be eligible to race. Please refer to the event schedule for full details. Any requests received before 5pm – 31 May 2019 will be eligible for a 80% refund of event entry fee paid. Any requests received before 5pm – 31 July 2019 will be eligible for a 50% refund of event entry fee paid. Any requests received after 5pm – 31 July 2019 will not be eligible for a refund under any circumstances and it will also be the end of transfer requests.